With proper care, your Packa will provide you with many miles of service.  We strongly suggest you read and adhere to these recommendations to care for your Packa. Take care when storing your Packa for a long period. Optimum long term storage is when the Packa is hung loosely in a dry, temperature controlled environment. Never store the Packa in a garage, attic or trunk of your car! These areas have large fluctuations in temperature and humidity. Do not store the Packa in its pocket for long term storage. Most importantly never store your Packa wet, especially for long term storage. For short term storage, like when hiking, you should shake your Packa gently to knock off as much water as possible. Turn your Packa inside out and shake again. If needed use a bandana or pack towel to wipe off any excess moisture, especially on the inside. If you must store your Packa temporarily when wet, make sure to unpack it and hang it up inside out to dry as soon as possible. Try to minimize the time the Packa is stored in its pocket while wet. Spot cleaning is recommended for dirty areas. Use a moist sponge and dry with a towel. If a full washing is needed soak the Packa in warm water and Tech Wash, gently hand wash, rinse thoroughly, and hang to dry. Never put your Packa in a dryer, for any reason. Ever.